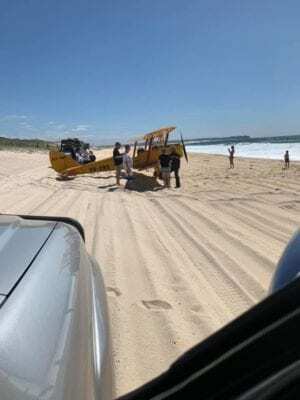 An aircraft has made an emergency landing on the beach between Redhead and Blacksmiths. 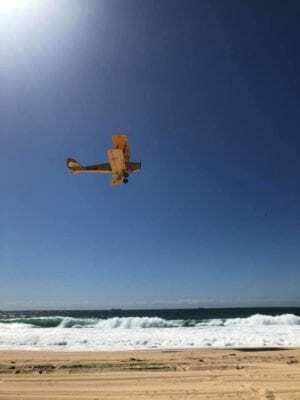 It’s understood the Tigermoth took off from Luskintyre Airport at Maitland on a joyflight, and encountered a mechanical issue while flying down the coast. 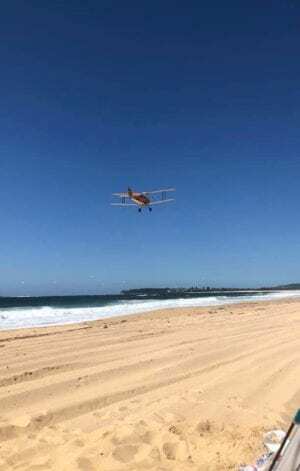 UPDATE – The plane is now being towed off Blacksmiths Beach to the nearest access point. The pilot’s name is Charlotte Zeederberg. More details to come in NBN News at 6pm.